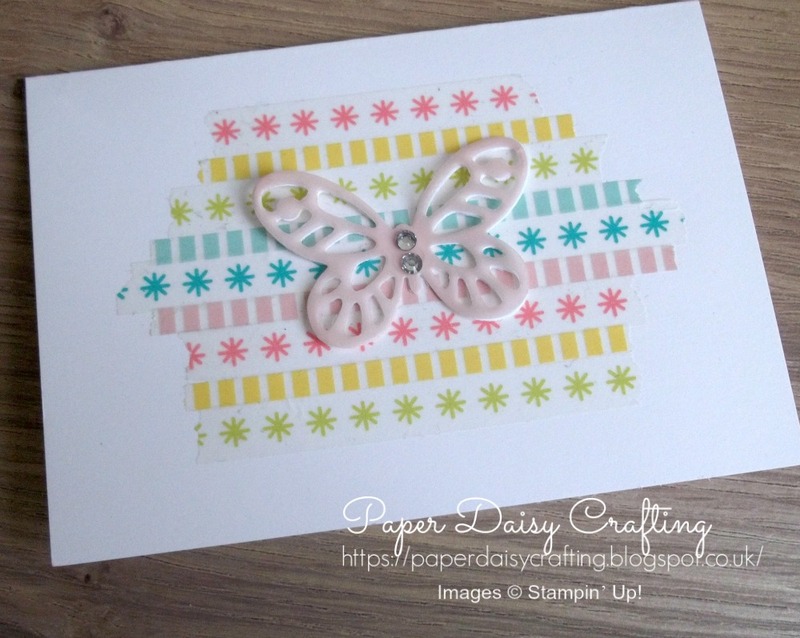 Paper Daisy Crafting: Another washi tape butterfly from Stampin' Up! Another washi tape butterfly from Stampin' Up! 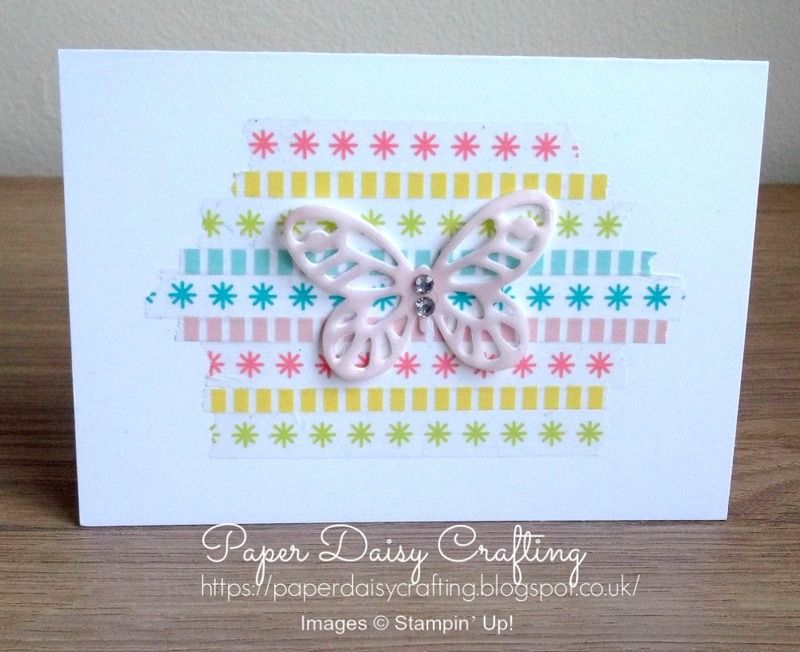 Very quick little post from me today to show you another card which was the product of me playing with washi tape and butterflies. This time I went for the more pastel shades of washi tape. And I used a layer of vellum over the white butterfly, which I had first coloured with my Dark Pink Pirouette Stampin' Blend pen. As I said very quick today!